It's getting towards the end of my bass/mullet fishing season now so Nigel and I had a sortie to the river the other afternoon. 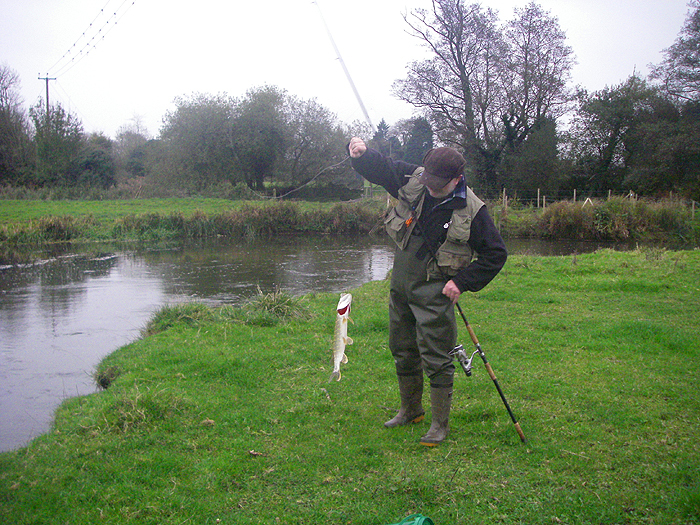 By the time I arrived my pal had caught a few grayling by trotting maggots. After I got there he packed in float fishing and picked up his pike rod. We set off, full of enthusiasm, to try and catch a pike. Nigel was using a float (salvaged from beach flotsam) and a small fish while I decided to spin with a large, soft plastic, Slandra. Despite recent rain river was still very low and only slightly coloured. It was not too cold and we were quite optimistic. We started fishing in a wide, shallow, muddy bottomed pool. My lure was perfect and wriggled along seductively just above the bottom. 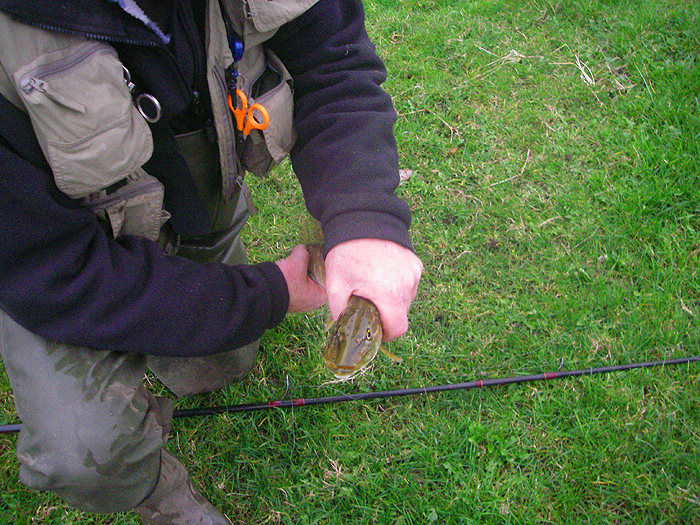 On about the fifth cast a pike of about four pounds lurched out of the weeds and missed the lure completely. We decided to leave it and try for a bigger fish. Mistake!!! We couldn't buy a bite in any of the other spots. After a couple of hours we were making our way back to the cars when Nigel called out that he had a fish. The excitement was short lived as it turned out to be even smaller than the one we'd seen earlier. Next time perhaps?